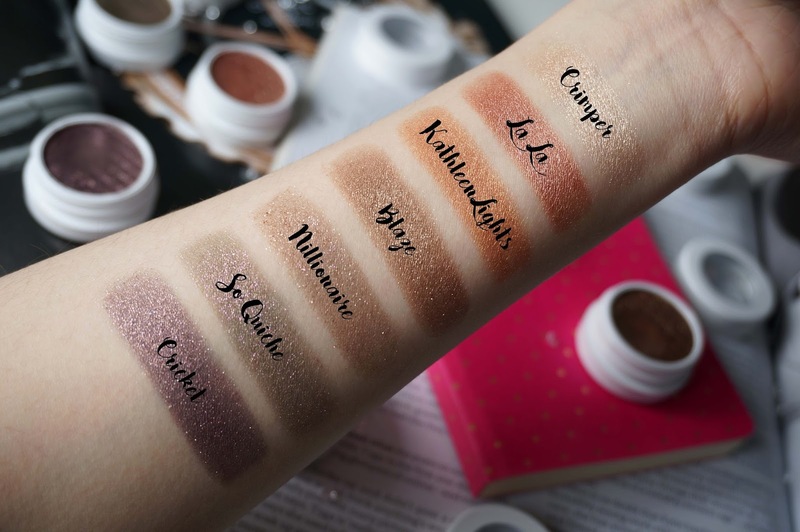 Last time I talked about the Colourpop Cosmetics Super Shock Shadows in the matte formula, today we are going to go through the shimmers/toppers that I have in my collection. 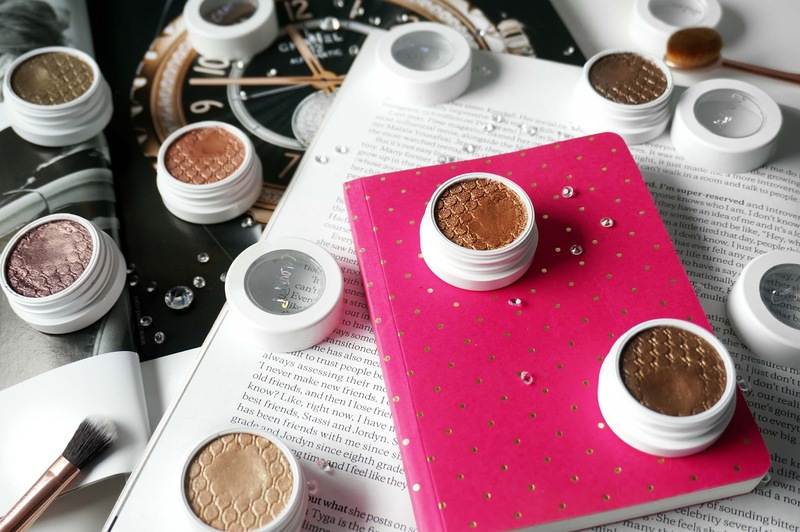 The Super Shock Shadows have a unique bouncy texture and is what Colourpop was known for along with their lippie sticks when they first launched. The Super Shock Shadows are $5 dollars each and they always launch new shades and collections. Getting straight into the collection. Starting with the lightest shade I own, I purchased Crimper part of a set, it is described as a soft yellow gold with multi-dimensional gold glitter. I rarely reach for the shade but it also a shade that I can't let go, I always mean to use this when I do a halo eye. La La is what I would describe as a pink copper/ rose gold with tiny little silver reflects. It looks beautiful as an all over the lid colour and is very pigmented. La La is a very opaque shade and almost looks metallic on the lids. Kathleen Lights is a straight up gold copper, it is incredibly pigmented and smooth to apply. This is also a very opaque colour and is one of my favourite shades ever. If you were to pick up any shades this needs to be on your list. Blaze is another Katheleen Light collection and it is what I describe it as brown with gold and bronze reflect. It almost a looks metallic because of the pigment and if you were a huge smokey eye person this would be right up your street I like using Blaze to deepen my outer V area. Nillionaire is a brown with gold and purple glitter. This colour is not very opaque and is what I describe as a topper than an eyeshadow, it looks beautiful on top of another to enhance the colour but I find the glitters in this a bit chunkier, therefore, I don't reach for it often. So Quiche is an olive shade with purple and gold shimmer, the glitter is a little bit chunkier and personally, I don't think olive goes with purple tones. I'm not a fan of this shade at all and I feel like it doesn't sit right on my light yellow skin tone. Cricket is a super glittery plum purple shade. It is super metallic and looks multi-dimensional. It looks amazing when worn with Mittens in the crease. I get so many compliments when I wear this shade and although the glitter seems a bit off putting this is my favourite shade out of all the Shimmery/glitter shadows. I was never a fan of purple until this and it looks so good on my brown eyes. Overall I much prefer the more metallic and opaque shades from the shimmery/glittery Super Shock Shadows and tend to stray away from the harsh chunkier glitter. I do recommend using a synthetic flat brush to apply the shadow or your fingers so it grabs the full pigment. The Colourpop Flat Eyeshadow Brush which I got free does a really good job with transferring the colours onto the eyes. And There is definitely hit and misses based on personal preference. Overall the colours are very unique and I will be letting go of the colours that I don't reach for. 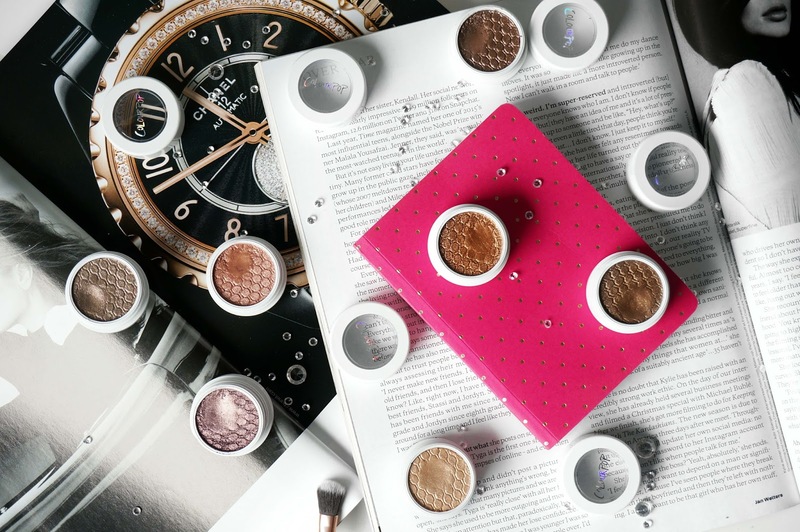 If you've tried the Super Shock Shadows what is your favourite shade. Colourpop does international shipping but I only use a forwarding service (My Mall Box) like always to avoid customs, which I've talked about in my previous post here and here. I love love Cricket! I love that plum purple colour, and the glitter just adds such a nice touch to it.